Ok, I haven’t posted in a while and am certainly feeling guilty about that.. what better way to prove that we’ve been very busy than some before and after Photos of our work. We have the pleasure of working with some great families and truly enjoy seeing their reactions to our landscape Renovations. 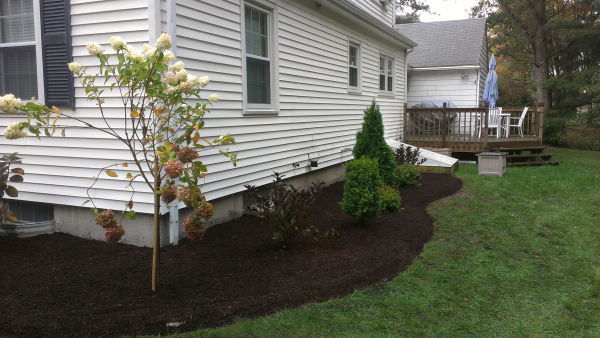 As a Landscaper in North Attleboro we have the opportunity to maintain and enhance many properties throughout town. We ran across large shrub species planted 18″ off the foundation of this house. 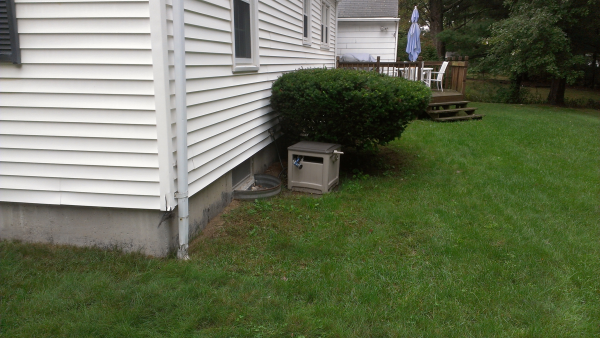 The homeowners have tried to maintain these plants and make them look good. The bottom line is that it was the wrong plant for the space at the beginning. We incorporated newer varieties that have compact characterisitics to keep the maintenance to a minimum.